Certain Women tells a triptych of stories, all set in rural Montana and based on short stories by Maile Meloy. While a couple of brief scenes link together some of the characters, the three stories are largely independent. Yet they all share the same feeling of women and – despite the title – men battling injustice and loneliness. Lawyer Laura (played by Laura Dern) has a client (Jared Harris) who can’t sue for proper damages after an injury in his workplace because he accidentally settled for a nominal amount. His dissatisfaction escalates, and in a sequence that falls just shy of black humour, Laura finds herself becoming a hostage negotiator. Ryan (James Le Gros) is (mostly talking about) building a new family home. Driving home the couple stop off with an old friend and Gina (Michelle Williams) wangles a deal to use some unused stones. The elderly man is clearly confused, and Ryan is less than supportive of his wife’s attitude. A worker on a pony ranch (Lily Gladstone) stumbles into a one-sided friendship with a out of town lawyer (Kristen Stewart) who is teaching a night class. Both feel trapped in their daily routines; but only one of them has the financial means to try to escape. While I began to chuckle out loud at a couple of unexpected situations, I was halted in my guffaw by the feeling of overwhelming emptiness of depression created by director Kelly Reichardt. There’s no element of feel good in this 107 minute film. 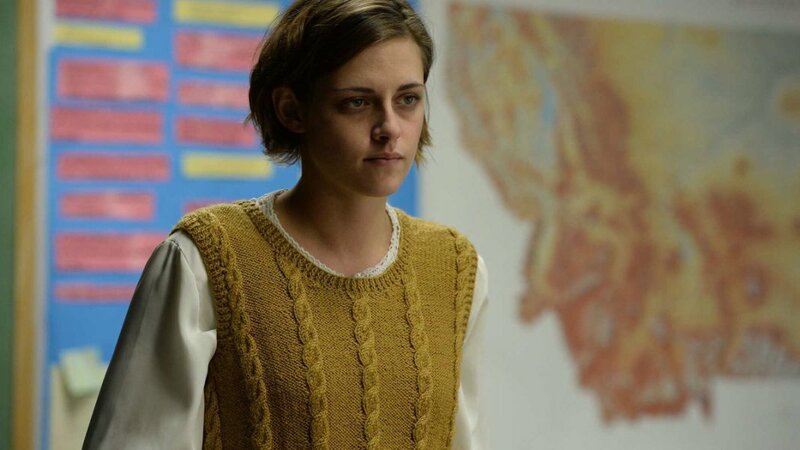 Certain Women is primarily a celebration of the downcast, the downtrodden, the disheartened and the disappointed. But it’s beautifully filmed and the character studies are finely observed. Shots linger. The camera is often fixed, and kept in the shadow. The background noise of each location is allowed to fill the long gaps between dialogue. There’s never a sense that the audience are being led through a well-signposted story. Instead, we’re all kept on tender hooks trying to figure our what will be important, which characters will endure, what the story line will be. And of course, the ultimate revelation is that the plot is less important than the example, emotion and experience of these three women and those close to them in reflecting everyday life. Certain Women is undeniably an unusual film. But like Moonlight, it lingers long in my mind, retelling its stories. Screened in the Queen’s Film Theatre from 3 until 9 March.